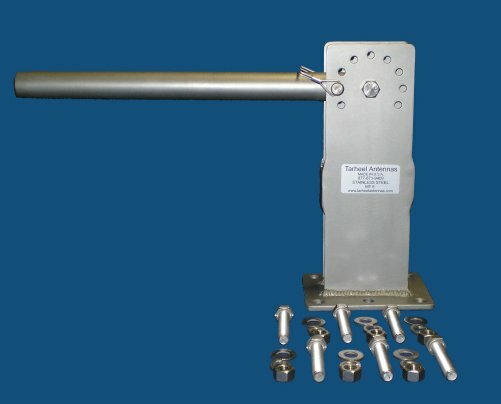 The MT 6 manual lift & lay mount is made as a support for the MT 1 mount, it's designed to be used in the bed of a truck or any where that you choose to use your antenna in a manner that would require you to lay the antenna down. This is a taller version of the MT 5, designed to lay the antenna over the wheel well. This mount is also 304 stainless steel. Designed for use with the M100, M200, M300 & M400. Not designed for use with the M40, M75, LT-HP, LT-II or BTA.